As some of you may already know, Mike’s contract with the U.S. Coast Guard was scheduled to end in January of 2011. Due to budget cut-backs, this date was pushed forward to coincide with the beginning of the new fiscal year: October 1, 2010. This means Mike is now officially a free man. This also means it’s time for some huge life decisions. Words cannot express how blessed Mike and I have been to spend the last 3+ years exploring the wilds of Alaska. Our honeymoon was literally the drive to Anchorage, so we have truly cemented the foundation of our marriage in this beautiful state. The birch trees and moose on our doorstep, the snowstorms and dreamy lavender skies, the fireweed flowers dripping with dew and the inlet full of singing belugas, the hoarfrost and snowflakes lingering on the tips of the spruces… These natural wonders have become a part of us, and the people who call Alaska home now occupy a sizable portion of our hearts. We have been living in a cozy, perfect cabin for the last two years, and Mike would happily purchase it today and stay in Alaska forever. However, my heart strings have recently been tugging me back to the Lower 48, and I know I would like my family to be closer than a fifteen-hour flight. Mike has been nothing but amazing and supportive—although I know how hard this decision is for him—and we have left the door open for a possible future return. They say that once Alaska is in your blood, it’s hard to live without it. And as funny as it is for me—a Florida girl—to agree, I can certainly understand the sentiment. Although we are both convinced this is the right thing to do and the right time to do it, we will depart Alaska with heavy hearts. Our stress is currently confounded with the insecurity of a tight job market and the realization that we may have to live simply for awhile until we can reestablish ourselves in a new state. 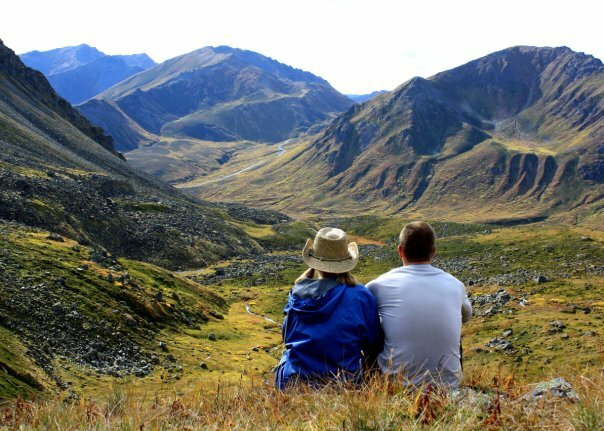 Colorado shares many of Alaska’s perks: beautiful mountains, rugged wilderness areas, exotic animals, wide-open spaces, skiing and snowboarding opportunities, and a relaxed, outdoorsy culture. It also has many other perks I miss from the Lower 48: hot summers, long springs, long autumns and bodies of water you can actually swim in without a drysuit. Denver’s central location would also hopefully keep us in close proximity to the people we love: a 2.5 hour flight to San Jose, 3.5 hour flight to Tampa, a 4.5 hour flight to Panama City and a 5.5 hour flight back up to Anchorage. We haven’t ruled out the other cities we’ve researched, so there’s always room for surprises, but two things are certain: my last day of work is October 15, and the movers are packing our belongings on October 18. We plan on beginning our road trip on October 20. Right now, our plan is to head to San Jose—where we will spend time with Mike’s friends and family while we wait to hear the status of my job situation. A prolonged waiting period may see us driving to Panama City for the Christmas holidays, and we hope to be settled in our new home—wherever that may be—by the start of the new year. I can’t even express the intensity of the mixed feelings I'm experiencing right now. Happy to be closer to our friends and loved ones in the Lower 48, devastated to be leaving our friends and my animals in Anchorage, thankful for the opportunities Alaska has given us, and indebted to the people who have made us feel so warm and welcomed in one of the coldest places on the planet. Regardless of where the path of our future eventually leads us, rest assured that Anchorage will always be an anchor in our life—a place where wolf packs and brown bears swirl at the outskirts of town, a place where salmon dance in crimson waves, and a place where we know we will always find some of the best people on Earth. Thank you for everyone who has been part of this adventure. Written by LisaAnn On October 7, 2010 In "lisa ann o'kane", "lisa ann okane"